Every year it is the same old thing for holiday fashion. These things have managed to become the status quo at Holiday parties even if they were not in-line with the particular year’s trends. 2017 marks a change. Our holiday staples now overlap with the hottest trends and are accepted year-round. This means there are many updated versions to take advantage of this holiday season. Try a sequined oversized blazer and pant, a velvet robe jacket or a metallic fringe knit dress. Other major trends like jumpsuits, bodysuits and denim can also be worked into your looks for the party circuit. Many women probably already have some terrific items in their closet. If you don’t, here are some of my favorites for the season. 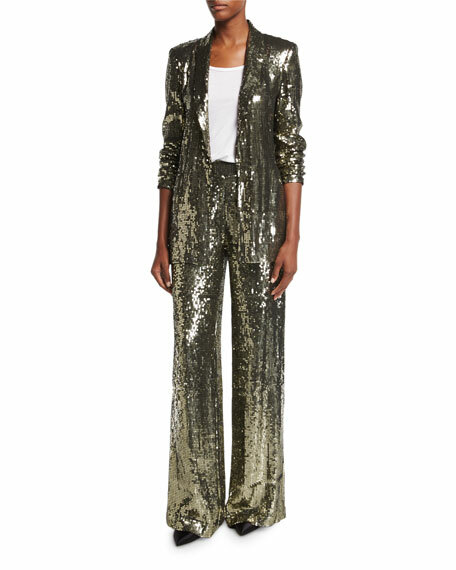 Alice+Olivia Sequined Suit – A fantastic suit that can be separated and worn to multiple holiday gatherings. 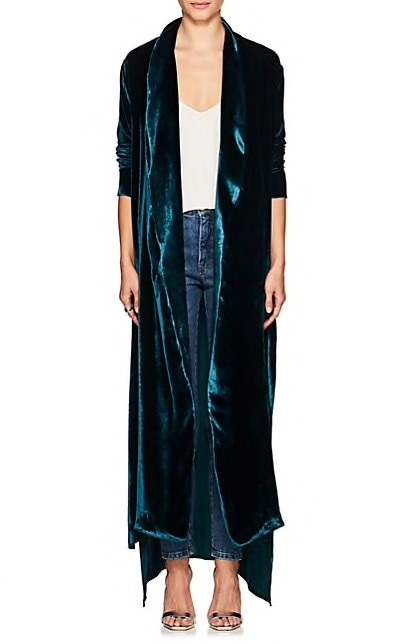 Juan Carlos Obando Long Robe Jacket – A chic robe coat is a cool, easy way to create a holiday look with a classic dress, festive pant or jean. 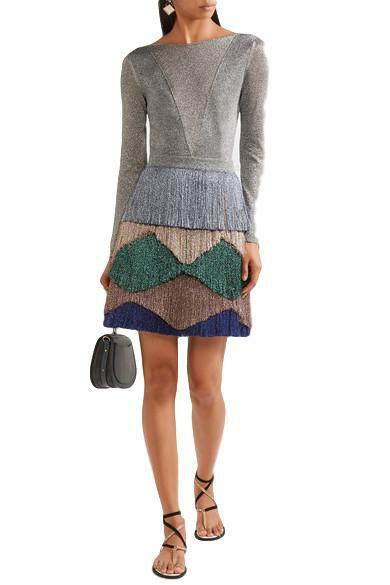 Missoni Knit Dress – A statement dress is all you need for the party. Let this dress do the work and keep the rest simple. 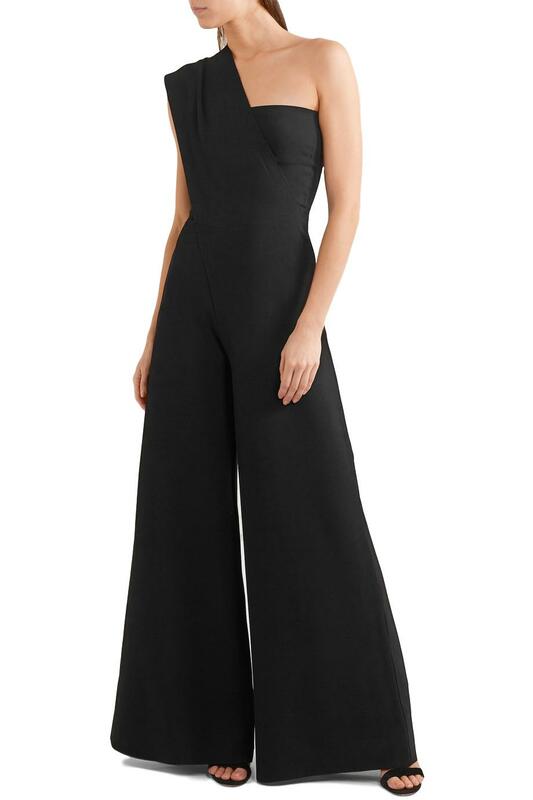 Stella McCartney Jumpsuit – A jumpsuit is a playfully stylish choice this year. Pair with a crisp blazer for a more polished appearance. 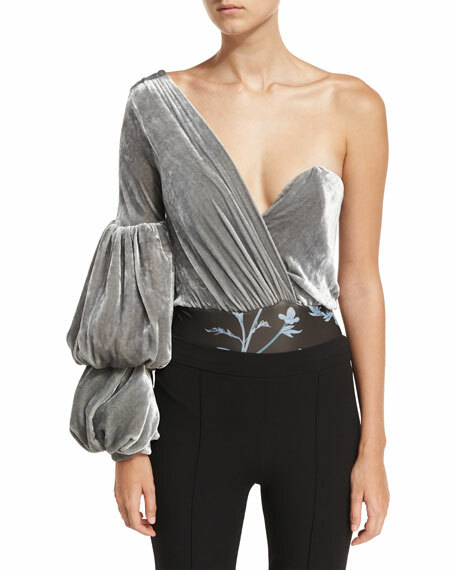 Johanna Ortiz – A great bodysuit is an easy way to update your holiday wardrobe. The gorgeous neckline and luxe fabric make this a great option. Frame Fringe Denim – A great denim trouser is a must this season. The dark wash reads dressy and the feathered hem is just right for the holidays.